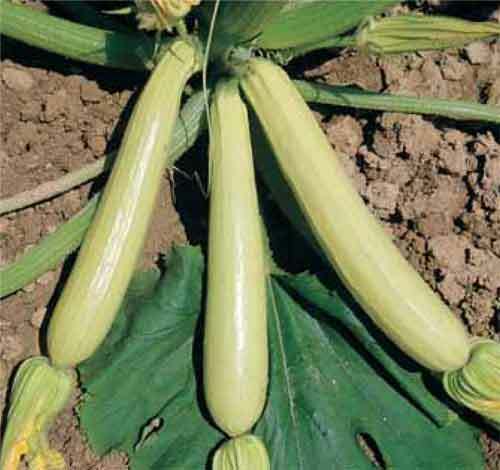 Old fashioned heirloom courgette from Italy. This gorgeous very pale green almost white courgette grows several inches per day so try to pick when about 10"/12" when they are at their tastiest. Very few seeds so great when grilled lengthwise with a little dribble of olive oil. Huge plants, very easy to grow, early and very prolific so pick regularly for a constant supply throughout the growing season.